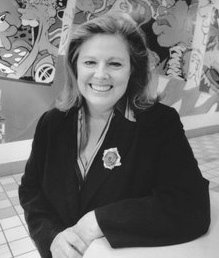 Jeanne Nathan has had a long career in journalism, public relations, economic and cultural development. A former broadcast reporter and managing editor with the NBC affiliate in New Orleans, WDSU, she has returned to broadcast with her weekly radio talk show on WBOK Radio, “Crosstown Conversations” that promotes a dialogue between diverse communities in the city over contentious issues, seeking consensus. She also presents live forums that aim for the same frank dialogue, helping the Urban Land Institute, for example, to shape a 5th year anniversary forum that welcomed neighborhood leaders to meet with developers to help promote citizen led projects throughout the city, followed by a series of 5th anniversary issue based forums presented through the City of New Orleans’ media office. She has also published extensively in print, including a current Internet newsletter, N.E.W.S. that offers news on planning, neighborhood, economic and cultural development issues and announcements of important upcoming events, trends, and shopping opportunities.